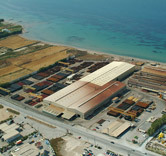 Our history began in 1969 with the start of operations in the Corinth plant, 80Km west of Athens. A decade of major importance as our Company made its first steps in a demanding sector with global competition. New installations and major investments created our solid production base and the first orders to North America, Asia, Europe and MENA region started building our understanding and experience of important export markets. 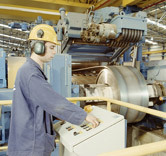 HSAW pipe mill start up. 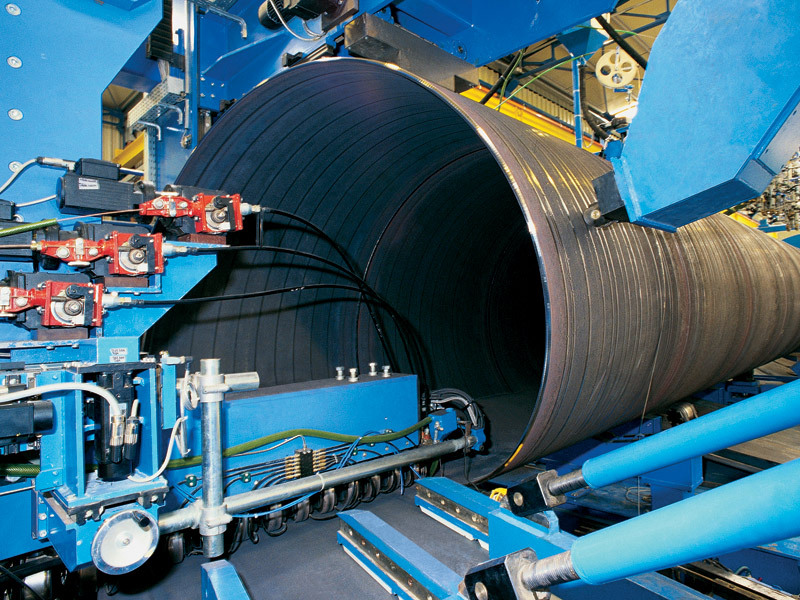 The Helical Submerged Arc Welding pipe mill with a production range of 22-80” outside diameter, max wall thickness of 14mm and steel grade up to X65. 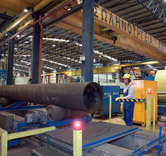 HF ERW pipe mill start up. 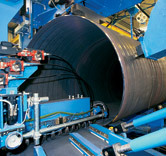 The High Frequency Electric Resistance Welding pipe mill with a production range of 6-21” outside diameter, max wall thickness of 12.7mm and steel grade up to X70. 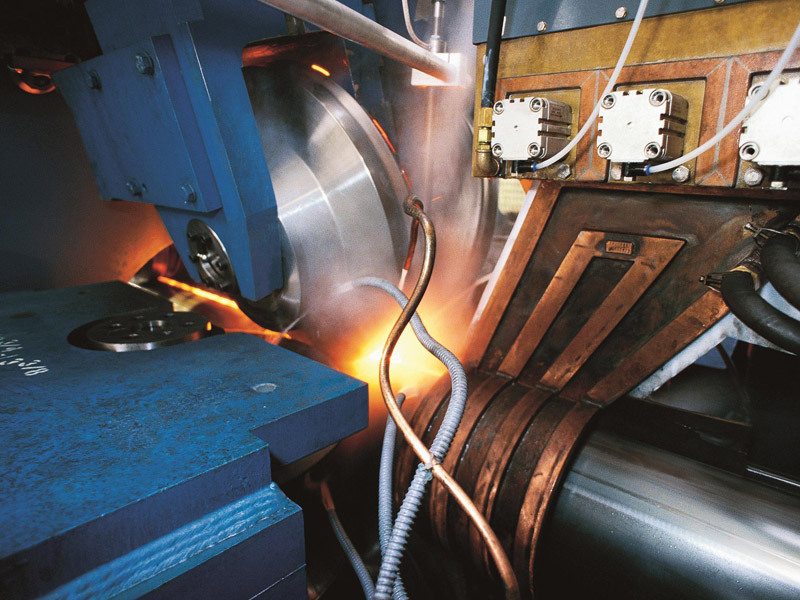 In this decade the Company established itself as a producer of high quality steel pipes. Important alliances with top tier raw material suppliers were formed, and product and quality management systems were accredited and certified according to the recognized international standards. 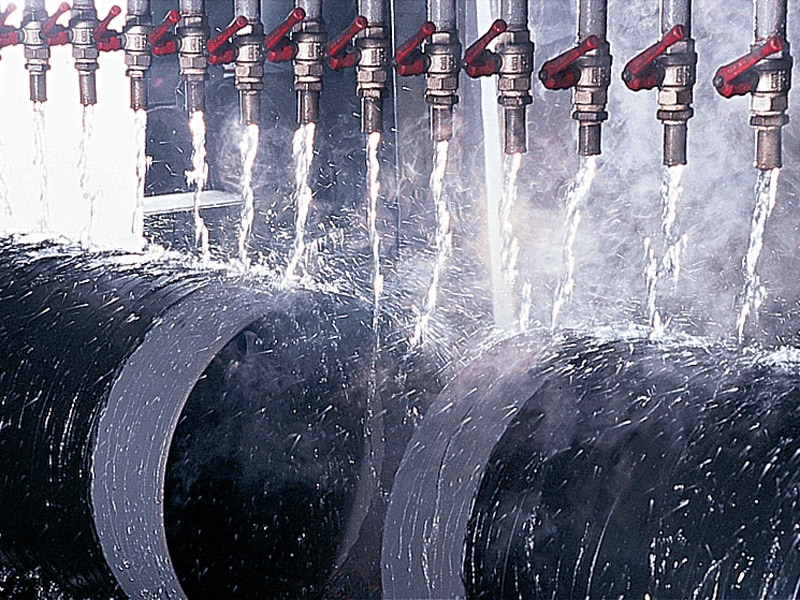 Corinth Pipeworks is certified in accordance with the American Petroleum Institute API Q1 standard. 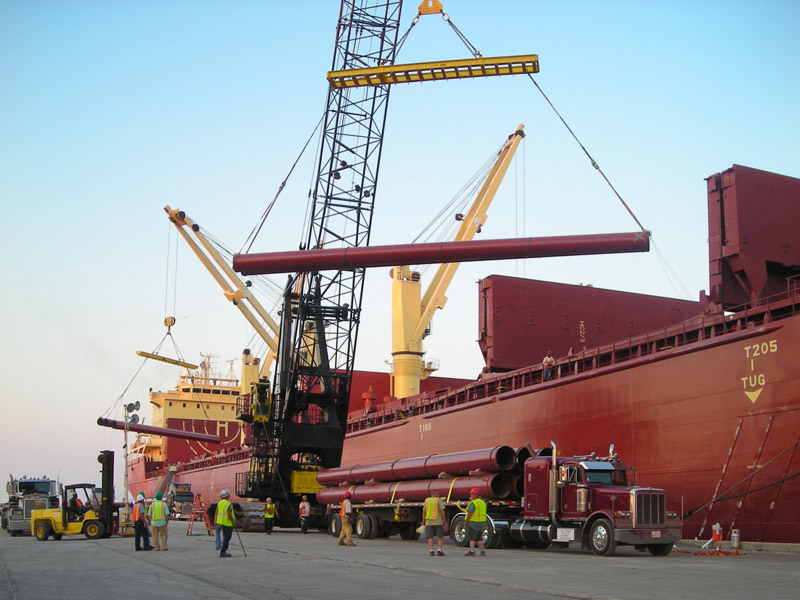 The growth of Corinth Pipeworks’s capabilities and experience, and a further series of new investments caught the attention of global oil and gas companies. 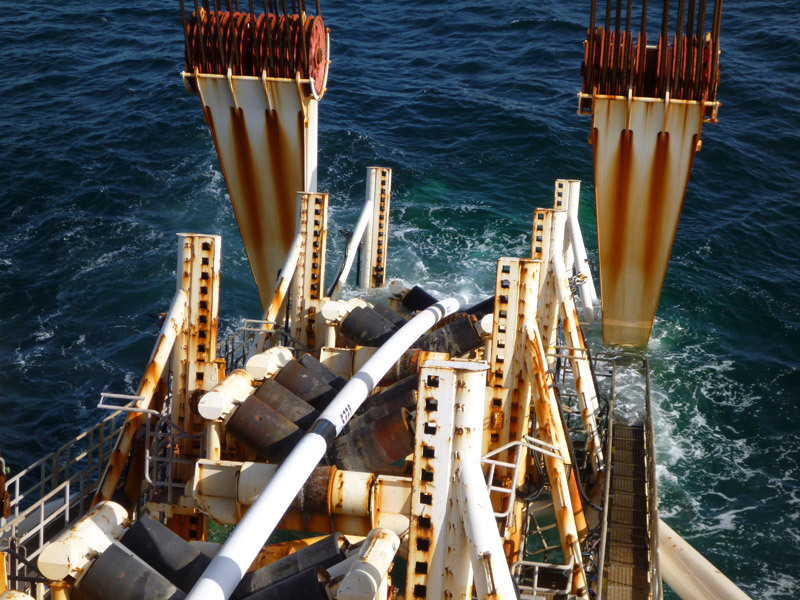 During this period Corinth Pipeworks was audited and approved by many end-users and main contractors which lead to the award of several prestigious project orders including our first offshore pipeline references. 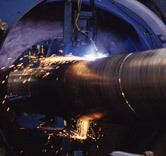 Pipe coating plant startup. External anti-corrosion coatings such as 3LPE, 3LPP, FBE and Internal epoxy flow coating now offered. Quality management system was accredited and certified in accordance with the ISO 9002 international standard. The Company is listed in the Athens Exchange. 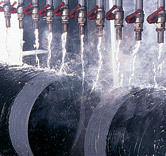 A second coating plant started up to increase capacity for external pipe coating. 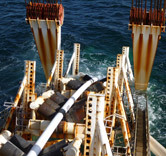 Corinth Pipeworks awarded its first order for an offshore pipeline. (Total Elgin Franklin project in UKNS). 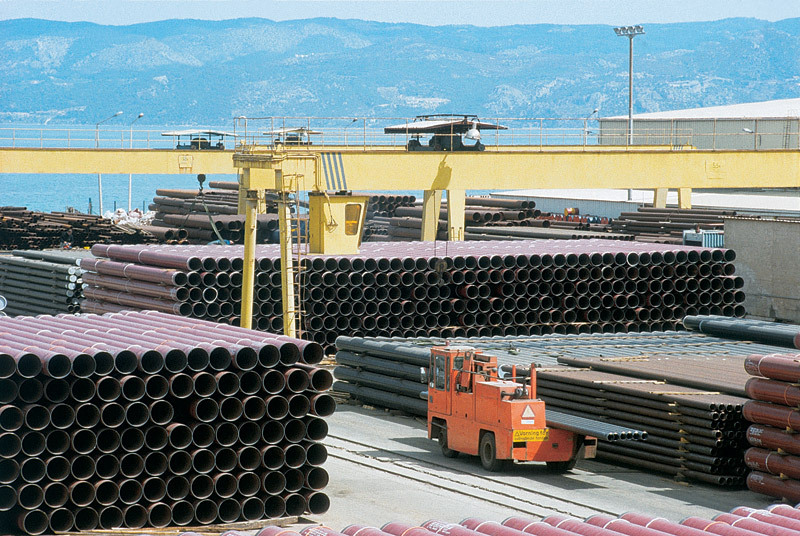 Start of an ambitious five year investment plan for the development of an entirely new pipe manufacturing and coating plant in Thisvi, Viotia (Greece)..
Upgrade of Corinth plant HFW pipe mill to HFI (High frequency Induction). 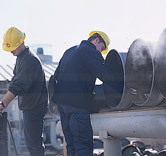 Corinth Pipeworks is qualified and awarded the first project by BP. 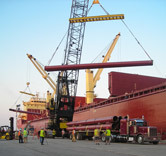 The Company is qualified by Shell and awarded an offshore project. 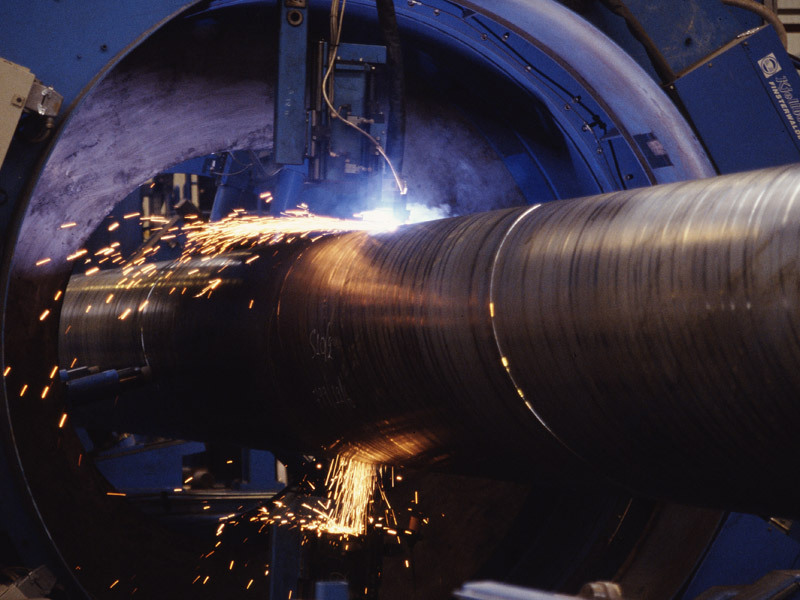 Corinth Pipeworks is awarded its first sour service pipeline project. This decade is a major breakthrough in the history of our Company. 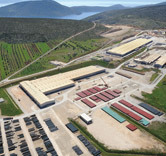 A brand new plant is constructed in Thisvi, 125Km North-West of Athens and our production facilities are relocated. 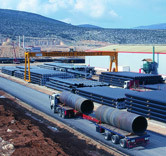 Sidenor Group, the major Greek steel manufacturer acquires a majority holding and a massive restructuring plan begins. The Company publishes its first Corporate Responsibility and Sustainable Development Report. 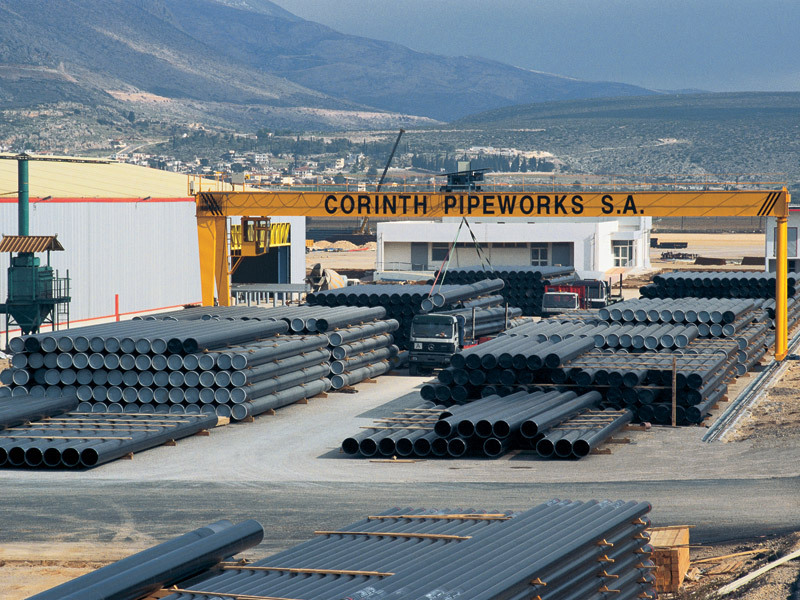 Corinth Pipeworks health, safety and environmental policies and systems accredited and certified in accordance with the OHSAS 18001 and ISO 14001 international standards. Establishment of CPW America to strengthen Corinth’s presence and commercial network in the America’s. Awarded the project of the foundation piles of the bridge Harilaos Trikoupis in Greece (Rio-Antirio bridge). Start-up of Thisvi plant where all current manufacturing operations are based. 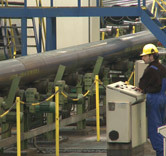 Corinth Pipeworks is qualified and awarded the first pipeline project from EXXON MOBIL. 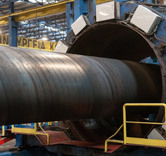 Awarded our first X80 grade casing pipe project for the UK North Sea. 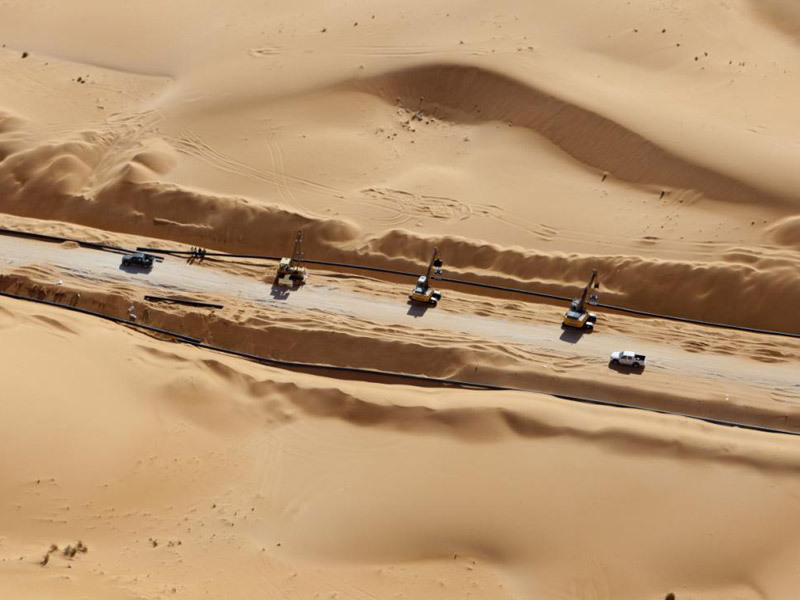 Qualification by Chevron and award of offshore gas pipeline project. First project awarded by Shell Deepwater for an offshore pipeline in Gulf of Mexico. 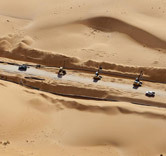 First CO2 Pipeline project in U.S.A.
Acquisition of a majority holding by Sidenor S.A.
Start of the restructuring plan. 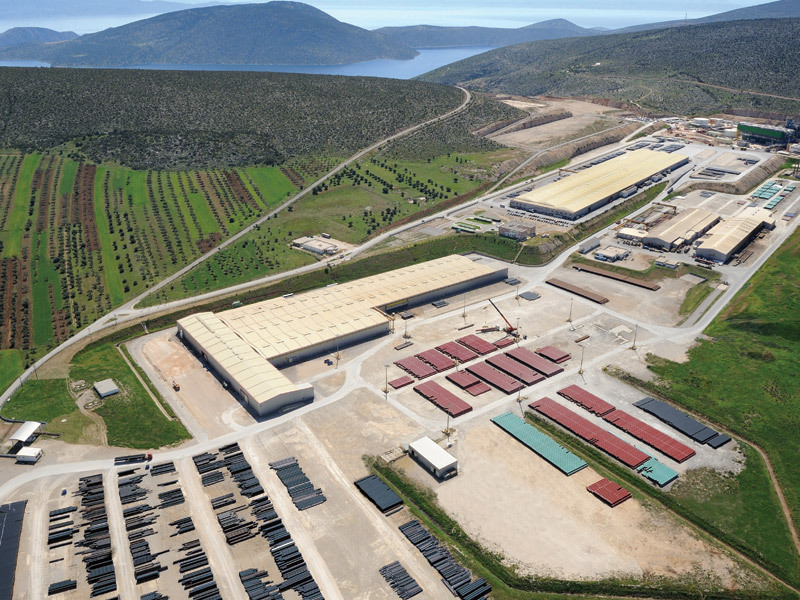 The production plant in Corinth ceases operations. Successful completion of restructuring plan. 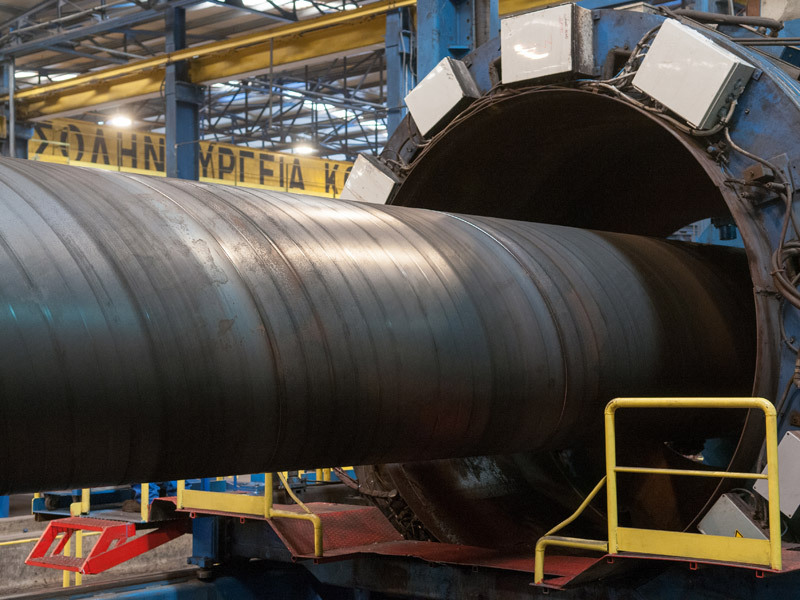 Corinth Pipeworks and TMK reach an agreement regarding the establishment of a joint venture for the production of medium-diameter pipes in Russia. 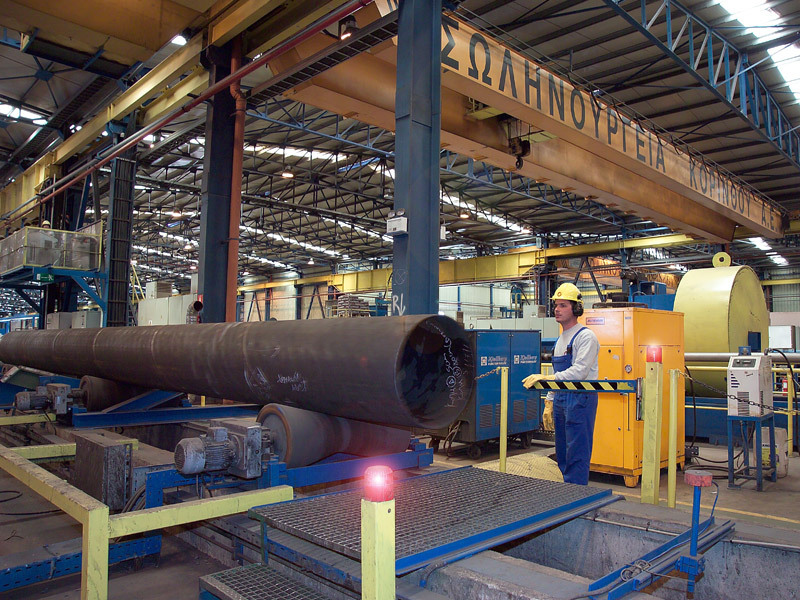 The ZAO TMK-CPW joint venture factory begins operations in Polevskoy, Russia. The ZAO TMK-CPW joint venture solidifies its presence in the Russian market. 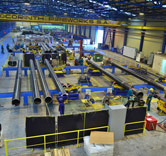 Upgrade of the HFI line, to produce steel pipes with an outside diameter of 26'' (world first). Publication of the first ‘Corporate Responsibility and Sustainable Development 2008’ report with an emphasis on adherence to Global Reporting Initiative guidelines, Version G3. 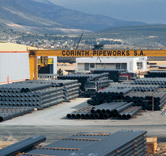 The strategic investments implemented, the continuous improvement of our production base along with successful cooperation with major oil and gas companies and EPC contractors worldwide, evolved Corinth Pipeworks in a world class pipe manufacturer, recognized for its dedication to quality and high overall performance. Our strategic framework relies on sustainability in all aspects of our activity, innovation and creating value for our customers and our people. Issue of the second “Corporate Responsibility and Sustainable Development” report for 2009 in the context of international reporting standards (GRI). This Report is more thorough in terms of indicators pursuant to GRI-G3 standard and falls under GRI Level B. 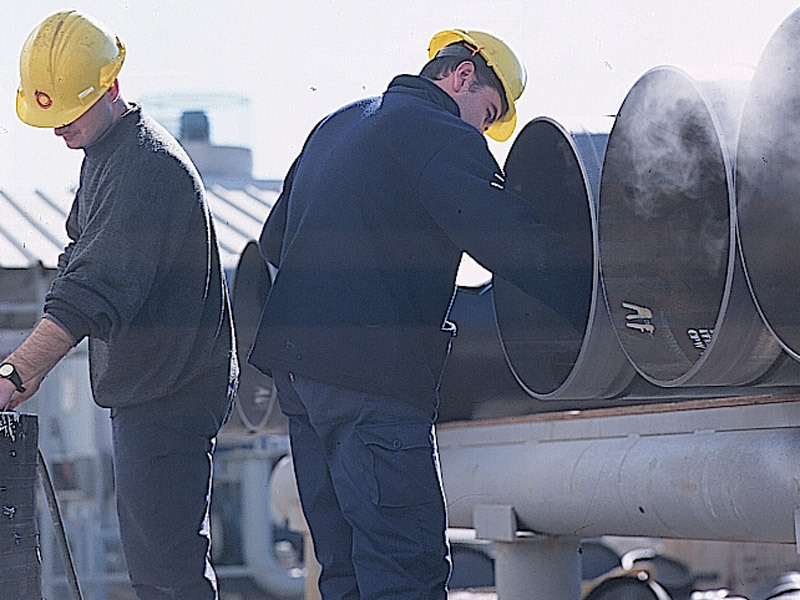 The first 26” HFI pipeline project in the world is awarded to Corinth Pipeworks in U.S.A.
High Performance award, a commendation for the 2009 Corporate Responsibility and Sustainable Development Report by the University of the Aegean. 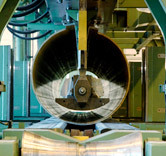 The Investment for the production of hollow sections in the TMK-CPW plant in Polevskoy, Russia is concluded. 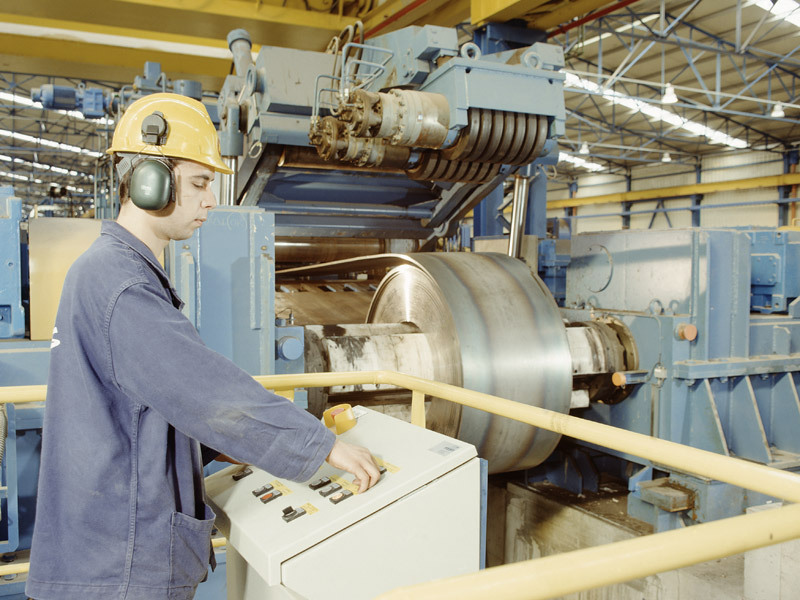 Upgrade of the external coating plant at Thisvi includes acid wash pre-cleaning facilities. 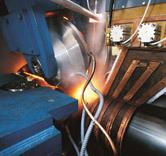 A weld-on connectors unit is installed in cooperation with Marubeni Itochu (MITE) and Oilstates Industries (OSI). 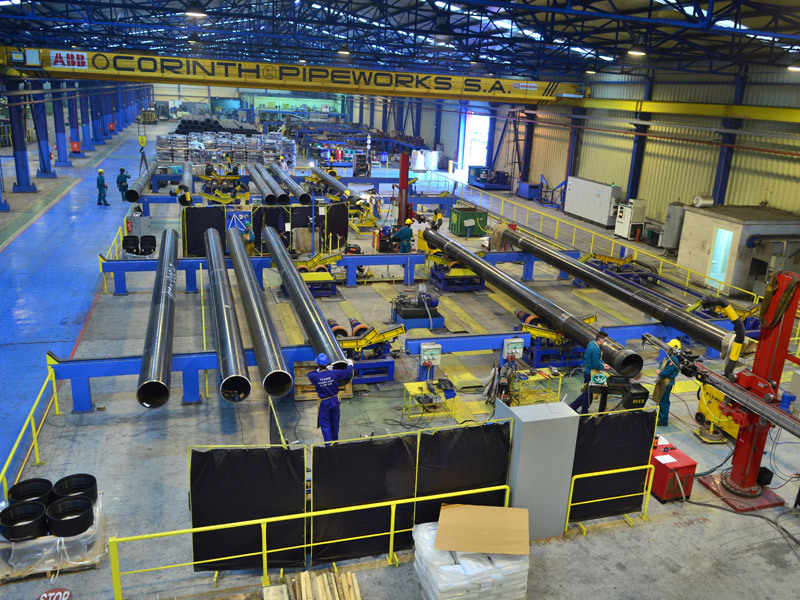 Corinth Pipeworks is awarded the first worldwide X70 HIC resistant HFI pipeline project in U.S.A.
A Memorandum of Understanding (MOU) is signed with SMS Meer for the supply of a new pipe production unit which will manufacture using the LSAW-JCOE method. 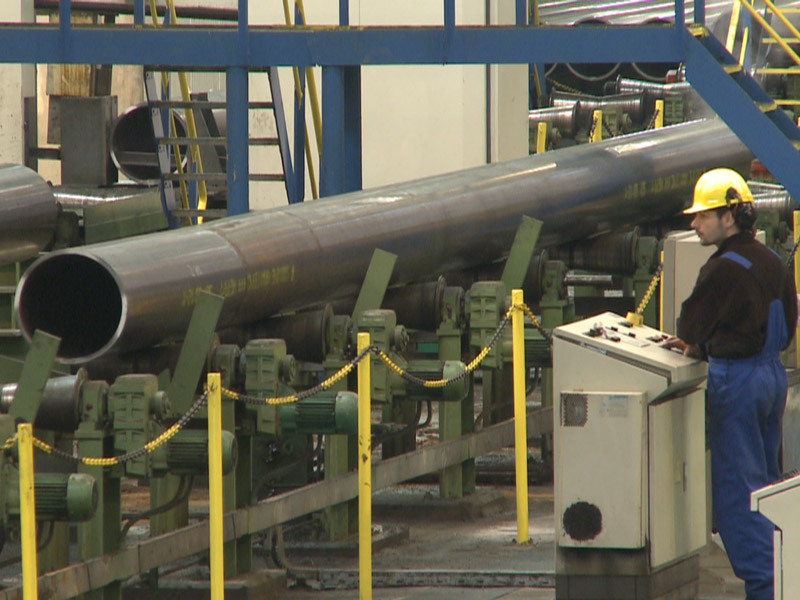 This investment will result in a significant widening of Corinth Pipeworks’ target market as these LSAW pipes will be suitable for the most challenging offshore and onshore oil and gas pipeline, riser and casing pipe, and heavy structural steel applications. 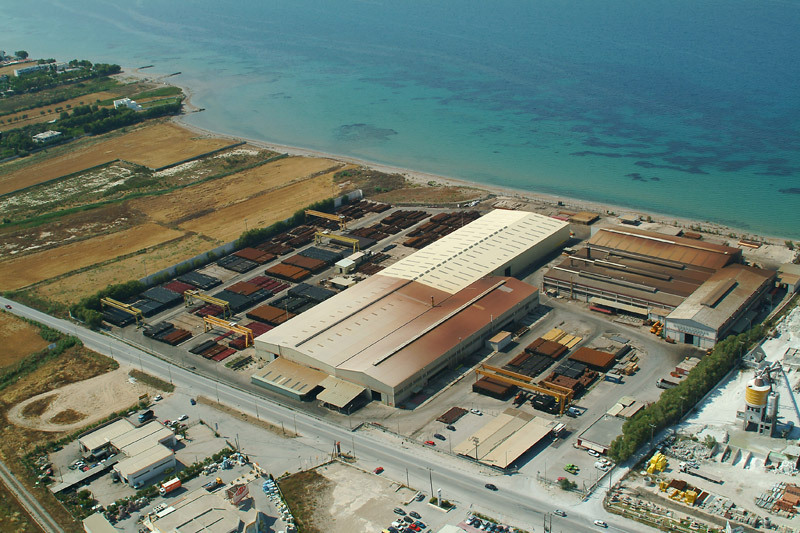 Relocation of an ERW/HFI pipe mill from Almyros, Magnesia to Thisvi plant. 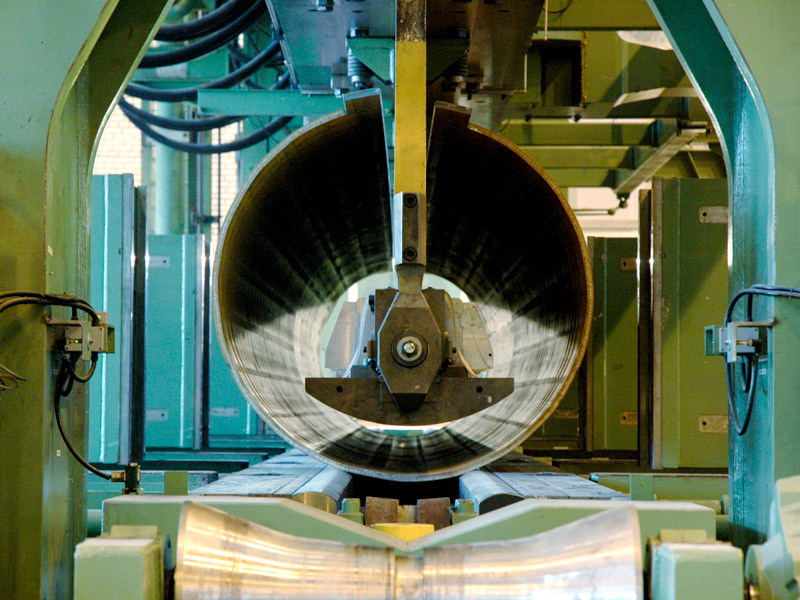 The pipe mill has a production range of outside diameter up to 7 5/8” which has significant applications in construction and OCTG markets. 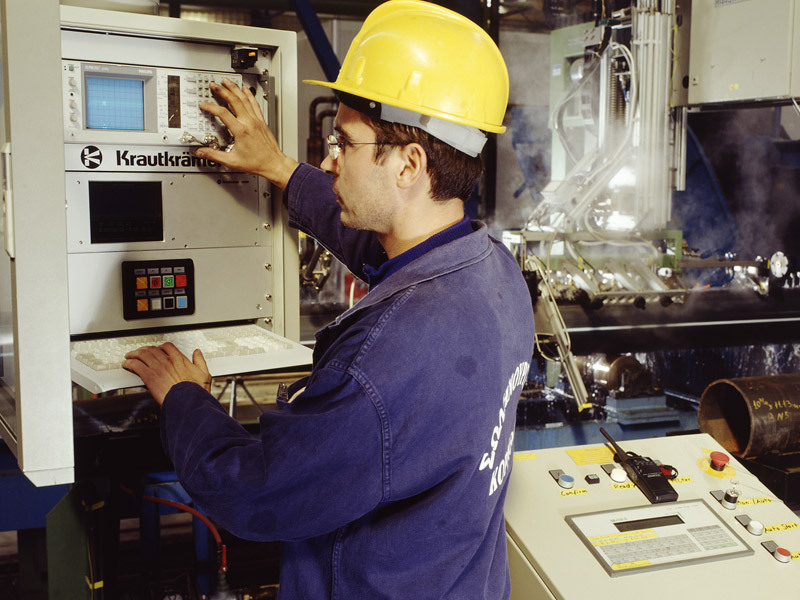 Installation of in-house corrosion testing laboratory for sour service applications. Corinth Pipeworks’ Annual Financial and Sustainability Report 2013 fulfilled the requirements of level A+ of the GRI G3.1 Guidelines and took the relevant statement from the international organization Global Reporting Initiative. Signing of three major new contracts in the US, two of which are the Company’s biggest in the US. 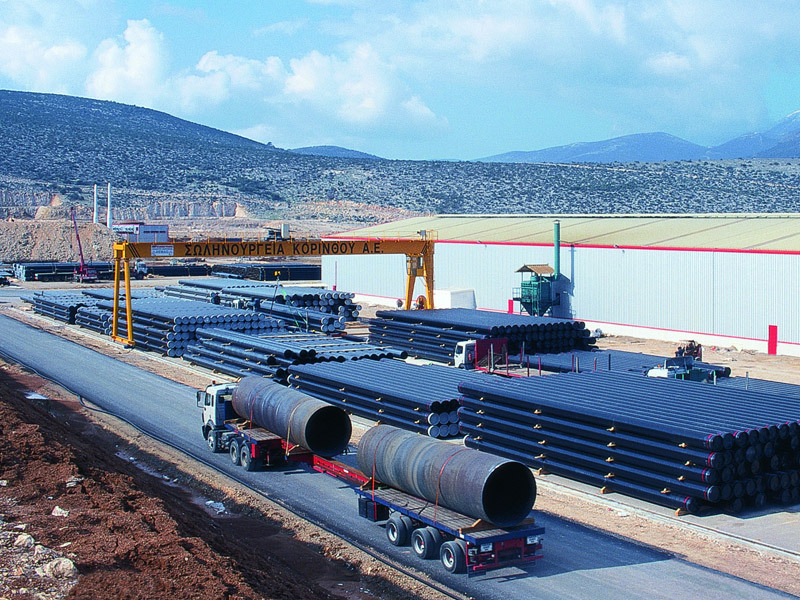 Following the cross-border merger by absorption of the Greek company Sidenor Holdings by Viohalco S.A. in July 2015, Corinth Pipeworks becomes a subsidiary of Viohalco. 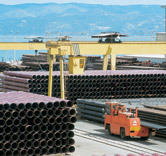 Conclusion of the spin-off of the pipes and hollow section industrial and trading sector of the Corinth Pipeworks SA Pipe Industry and Real Estate and their contribution to its 100% subsidiary E.VI.KE S.A. Investment, Industrial and Metals Trading, Real Estate and Construction Enterprises Societe Anonyme, in May 2016. Change of the listed Company's name to Corinth Pipeworks Holdings, Societe Anonyme. Completion of the cross-border merger by absorption by Cenergy Holdings SA of the Greek formerly listed companies Corinth Pipeworks Holdings S.A. and Hellenic Cables S.A. Holdings Société Anonyme in December 2016. Listing of Cenergy Holdings SA on Euronext Brussels and Athens Exchange.